Having written all about movies, I thought it but appropriate that I do a list of songs. My musical range is wide; but although rock is the genre I listen most to, I cannot deny that I also have a soft spot for ballads. Doesn’t everybody? Here I assemble a list of songs that span five decades. It would be interesting, perhaps, what the young kids will think if they are hearing these songs for the first time. I conveniently include a Youtube video for each song. Your Song. 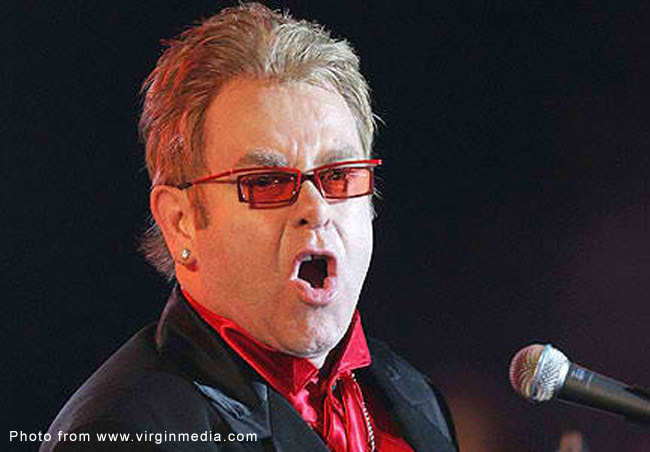 As performed by Elton John. Written by Elton John and Bernie Taupin. In my humble opinion, this is simply the best ballad written of all time. You can listen to this song whatever your mood happens to be. Bernie Taupin, Elton John’s lyricist in the early years, wrote this in about an hour. This song was released as the “B” side of a 45-rpm record; but surprisingly the listening audience preferred it to the other song. If there are any kids who are reading this, go ask dad or granddad what a 45-rpm record was. Let It Be. As performed by the Beatles. Written by Paul McCartney. Lyrics so simple; yet so profound. Words to hang on to when one is feeling lost and overwhelmed by life. The listener is invited to resign himself to the wicked twists that life sometimes offers because there is wisdom to acceptance as opposed to fighting a situation. Implicitly, because it will pass; and there is even an element of eastern philosophy to this. Paul McCartney sang this so beautifully and with a spirituality that will simply make this song last forever. Born Free. As performed by Matt Monroe. Lyrics by Don Black, melody by John Barrie. You’ll Never Walk Alone. As performed by Gerry Marsden and the Pacemakers. Written by Rodgers and Hammerstein. …and not just because this is the anthem at Anfield. Where “Let It Be” asked the listener to simply resign himself to the situation, this song goes a notch farther by actually saying there is something at the end of a period of misery. This ballad, to put things plain and simply, is a song of hope. Best of My Love. As performed by the Eagles. As written by Glenn Frey, Don Henley and J.D. Souther. A love song about a couple who are not necessarily seeing eye to eye. This came out when I was in high school and I still continue to hear it played over the airwaves. This was simply done with acoustic guitars as was the source of the Eagles’ greatness. As writers of love songs, the Eagles never strayed into the domain of the cheesy; as other bands rather tended to. As Glenn Frey and Don Henley once said in an interview, they were always careful to choose their words so that their songs did not eventually end up corny. This song is typical of that song-writing philosophy. It is emotional but not overly so; and has a simple melody that is pleasant to the ears. Color My World. As performed by Chicago. Written by Jimmy Pankow. And dreams of our moments together. Yes, those are the entire lyrics. This is probably the only song on record the introduction of which is actually longer than the lyrics of the song itself. This was the genius of Chicago, the band whose genre music experts had so much difficulty determining, so rich was its range and blend of styles. In this song, Chicago conveys meaning more through a haunting tune played with a piano rather than the use of words. When Terry Kath finally sang the lyrics, he did so shortly, powerfully and timelessly. Cool Change. As performed by the Little River Band. Written by Shorrock and Glenn Barrie. There is nothing very profound about this song. On the contrary, it is in the lightness of the song – both in terms of lyrics and melody – that makes it so pleasant to the ears. I personally consider the Little River Band as the next best thing to the Eagles; or, at least, in the matter of voice harmony. In terms of feel-good effect, I believe this song has few equals. Wind Beneath My Wings. As performed by Bette Midler. Written by Jeff Silbar. “Did you ever know that you're my hero? A tad corny, perhaps, for my own personal taste; and this was played over the airwaves to the death at the height of its popularity. This song was in the soundtrack of the film “Beaches” which also starred Bette Midler. Who can deny, however, the power of this song? This is the anthem of all those who work quietly behind the limelight; but we are all suckers for recognition so do we not all wish somebody would dedicate this to us. Where the lasting appeal of the other songs in this list probably comes from their “singability,” this one is high-pitched and probably not for everyone. Midler, though, delivered powerful vocals. In the Living Years. As performed by Mike and the Mechanics. Written by Mike Rutherford and B. A. Robertson. This song is almost painful to listen to. Loosely, it is a song about the generation gap. It also talks about the strained relationship between a son and his father, who would die before the son could tell him all he wanted to say. Mike Rutherford sang this so emotionally that anyone who listens to the song almost feels his pain; more so if the listener has a parallel experience with his own parents. Thank You for Loving Me. As performed by Bon Jovi. Written by Jon Bon Jovi and Richie Sambora. What song list of mine will ever be complete without a Bon Jovi song? This was the “Crush” album and only merited limited attention in comparison to the album’s flagship “It’s My Life.” A bit corny, perhaps, for a Bon Jovi song; that said, the melody is excellent and Jon Bon Jovi’s vocals are as raunchy as ever.